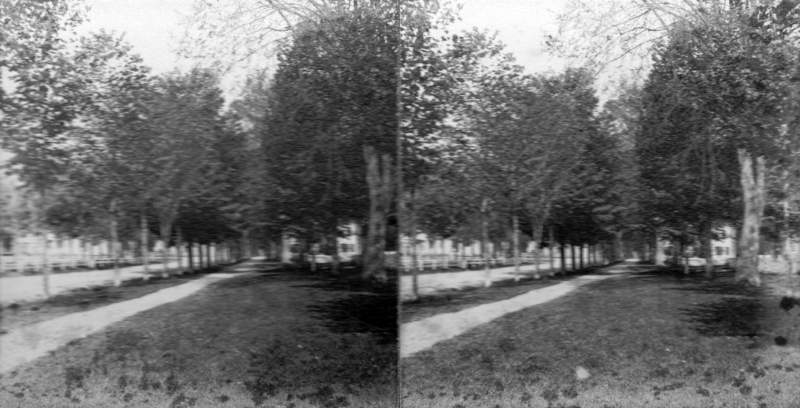 This is a black and white stereoscopic view of Bennington showing a park up the street from the Baptist Hill. On the let side of the image is a sidewalk. Leafy deciduous trees dot the blurry landscape pictured. There appears to be a wooden-frame building pictured toward the back right of the image.